Often times new solos are afraid to publicly ask the important questions about starting a solo practice because they are concerned others will mock them for not knowing what is often considered basic. Jared Correia hears these questions all day long, often times two and three times in the same day. We thought it would be very beneficial to have a discussion with Jared so he could answer these newbie questions (which, quite frankly, more seasoned lawyers could benefit from, as well!) in a podcast which can be bookmarked, saved and listened to as often as you like. 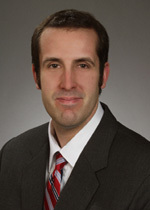 If you are a new lawyer in Massachusetts or a paying member of the Massachusetts bar, be sure to connect with Jared. LOMAP’s services are free for those who qualify. ← Step 1 – Get Clients.